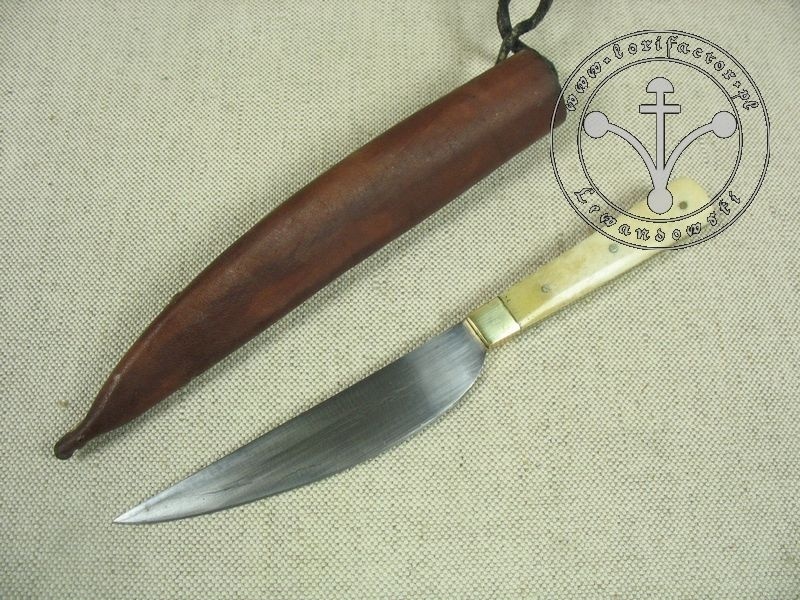 A small knife for wearing with the women's belt and for small kitchen work, framed in bone and decorated with brass shoulder plates. 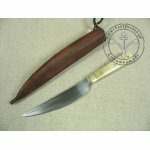 Includes hardened in wax leather scabbard with strap. 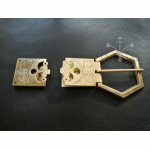 Material: hardened steel, bone, brass, leather scabbard. Source: Archaeological finds from London. Note: Horn and bone framing blades can have lighter or darker discolouration, small scratches or cracks, which, however, in no way affect the functionality and are natural properties of these materials. Measurements: 13 cm - length.